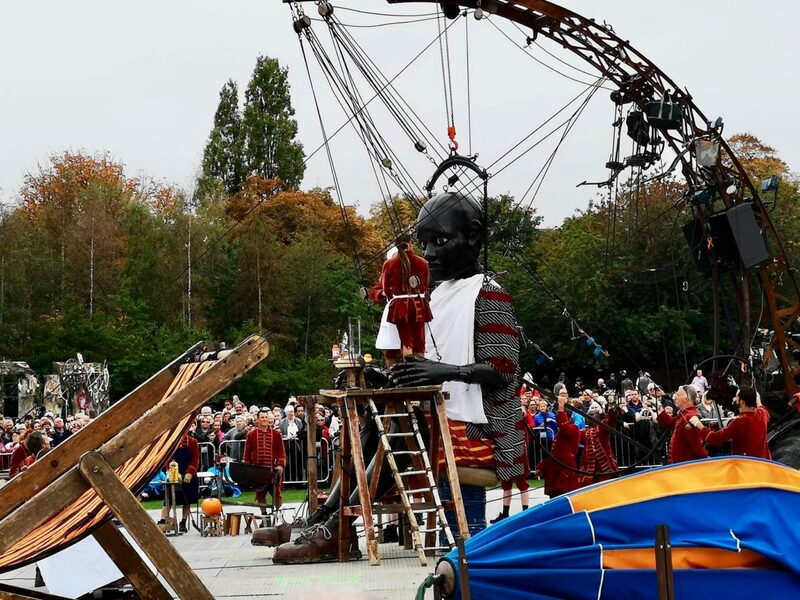 The Giants Spectacular made its last ever appearance in Liverpool this weekend, with enormous numbers of spectators enjoying the show on both sides of the River Mersey. 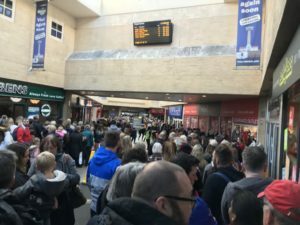 Liverpool City Council claims around 1.3m turned out to witness the three days of festivities. 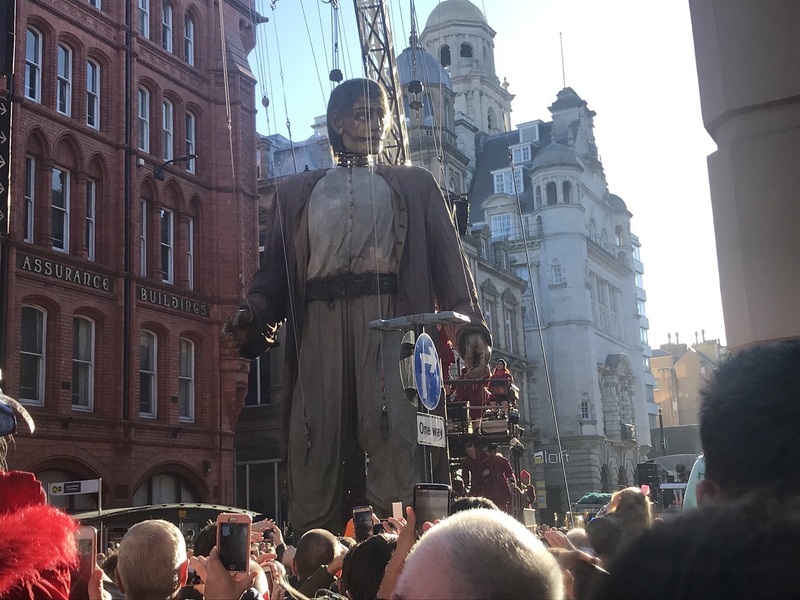 Crowds packed the streets to get a chance to see the three giants perform, with a special appearance by the popular Little Girl Giant who made a surprise visit to Sunday’s finale to say goodbye to her many fans. The playful puppet dog, Xolo, delighted thousands as he wagged his tail and interacted with people, alongside Little Boy Giant and a super-sized monster puppet who spent Friday on the Wirral before joining up with the others in Liverpool. 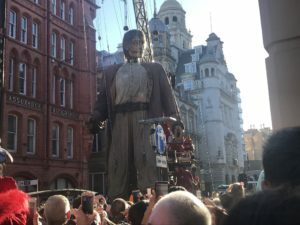 The event spanned 21 miles around the region, with the giants pausing to interact with the public. 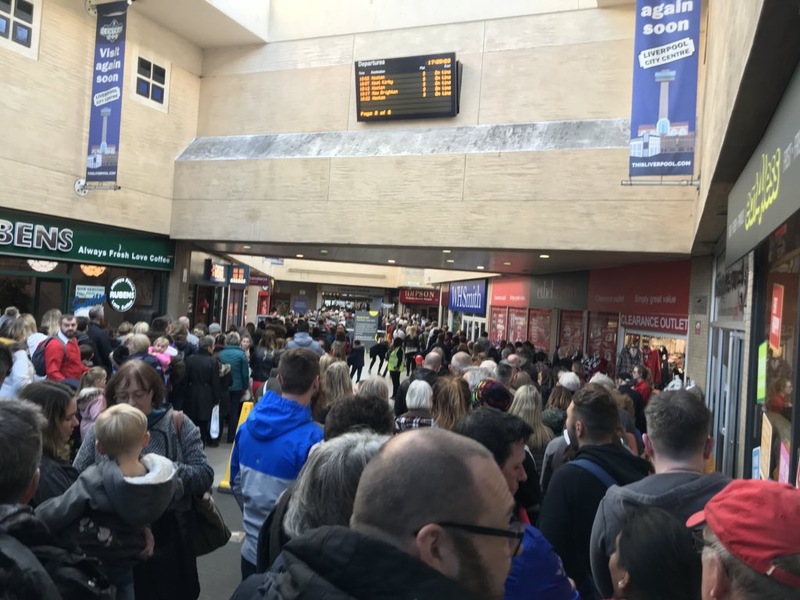 However, many visitors to the spectacle were also left deeply frustrated by travel problems, with long queues forming outside the train stations Merseyrail had left open, after controversially closing several others. Additional reporting by Lucy Jones; Annie Williams; Nadia Breen; Lori Dunlevy; Ellie Watkinson; Megan Tattersley; George Adams; Abigail Lawrence; Angelica Day; Chantelle McKeever; Rose McMillan; Liam Jones & Rohin Jalota.